EasyHeat roof and gutter de-icing products are engineered to protect properties from the damage caused by ice dam formations. EasyHeat's electric heating cables economically and efficiently reduce ice formation along roof edges, in gutters, drains and downspouts to provide a path for meltwater, allowing it to flow off the structure. ADKS is a fixed resistance, pre-terminated cable. It is CSA Certified and UL Listed to Canadian safety standards. 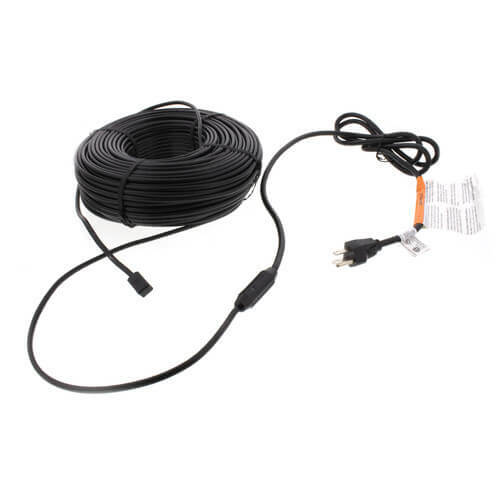 Features a three wire grounded plug with a 6-foot/2-meter power cord, and includes an appropriate number of roof clips and cable spacers. This product is for the sole intended use of preventing ice dams from forming on inclined roofs with tab shingles, in gutters and in downspouts. It must never be installed on a flat roof or on combustible materials. It is not suitable for use on metal roofs.